Zach Tavitian goes up for the slam during Monday night's game. 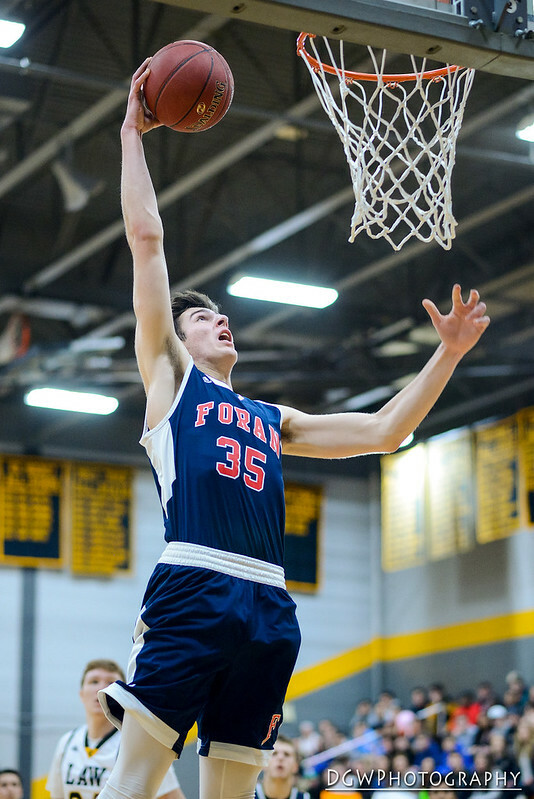 The Foran high boys team defeated crosstown rival Jonathan Law, 75-61, Monday night. Click here for more from this game.